OBJECTIVES: EDU-CELL has two objectives: (1) Supporting SDG#4: To increase access of quality schooling in Afghanistan thus supporting SDG 4 . (2) Supporting SDG#5: To provide a credible solution to the problem of girls who are unable to attend schools due a host of economic, social and cultural factors. EDU-CELL is a mobile app that can be downloaded in a basic cell phone (Android). Through EDU-CELL, a student will have daily access to small 15 minutes lessons in each subject of Grades 6 , 7 and 8 (Middle School). All subjects would be covered in three languages Dari, Pashto and English. An important part of the pedagogy will be an SMS that will be delivered at the end of each 15 minutes lecture. Equally important, a student will have to pass a level before s/he can proceed to the next level. EDU-CELL system will command 4 features: (1) A phone based login allowing the student to set the grade, subject, chapter and language (Dari/Pashto/English). (2) 15 minutes long audio lessons: CHAPTER- SUBJECT- GRADE - LANGUAGE wise. (3) SMS containing key points delivered at the end of each lesson. (4) Multiple Choice Test (answerable using phone keys) will have to be cleared before the student proceeds to the next level. INNOVATIVE FEATURES: (1) No use of video which will allow use of simple phones. This will facilitate deep penetration into hinterland Afghanistan. (2) Offerings in three different languages will cater to Afghanistans cultural diversity. (3) Scientifically speaking, attention span of a student child is between 7-9 minutes. Short lessons of 15 minutes will help in increasing learning outcomes. (4) A student will have to clear a particular level before proceeding to the next level. This will ensure progressive learning. EDU-CELL impacts two Sustainability Development Goals: SDG#4 RE: QUALITY EDUCATION and SDG#5 RE: GENDER EQUALITY (1)	Target 4.1 of SDG 4 states: 2030, ensure that all girls and boys complete free, equitable and quality primary and secondary education leading to relevant and effective learning outcomes. IMPACT OF EDU-CELL: There are problems of education access and excessive inequity between schools in Afghanistan. Additionally, for almost six months, schools in Afghanistan remain closed due to snow and weather constraints. EDU-CELL will ensure that education access is offered throughout the year, besides making education available in the comfort of a students home. MEASURES TO EVALUATE SUCCESS: (a) The number of students who will take the services of EDU-CELL. (b) The number of students who pass our tests and move to the next grade. TARGETS: (a) Number of students who will enroll. Year 1: 1,000 students, YEAR 2: 3,000 students YEAR 3: 5,000 students (b) Number of students who will pass a grade: Year 1: 70%; YEAR 2: 80%; YEAR 3: 90% (2)	Target 5.1 of SDG 5 mandates to end all forms of discrimination against all women and girls everywhere. IMPACT OF EDU-CELL: The way our Afghan society is structured, girls perennially face more challenges than boys in attending school. By ensuring that subjects can be taught in a home via a cell phone, EDU-CELL will contribute towards ending the subtle and not-so-subtle discrimination that girls routinely face in attending school. MEASURES TO EVALUATE SUCCESS: The number of girl students who will register for the services of EDU-CELL. TARGET: Year 1: 500 girls out of a total of 1,000 students (50%), YEAR 2: 1,200 girls out of a total of 3,000 students (60%) YEAR 3: 3,250 girls out of a total of 5,000 students (65%). Through my work in education, I have identified 3 teachers, besides myself, who will audio record the lessons of all subjects in Middle school (Grades 6, 7 and 8) in all 3 languages. My home has a rudimentary recording studio which will produce these 15 minutes MP3 audio files. 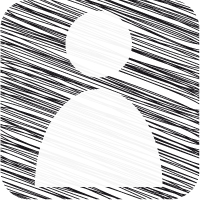 The app will be made by one of us who is IT savvy and well versed with the technologies of the app. Initially the app will be made for Android applications. All the teachers have agreed to take only an honorarium till EDU-CELL reaches its breakeven point (YEAR 2. DESCRIPTION OF BUSINESS MODEL: Each student will pay a consolidated and affordable USD 2 per month for all subjects of a Grade in one particular language. SUSTAINABILITY: EDU-CELLs financials are solid: Since the app will be made in house as described above, it is only the initial costs of marketing that will be the most significant part of expenditure. After accounting for all expenses, the business will yield a Net Profit Ratio of 35%. This will be a cash business with very low fixed and operating costs. EDU-CELL will be cash positive in Year 1. Break Even point will be achieved in Year 2 (Quarter 2). Profit share in lieu of salaries will keep the salaries bill low. SCALABILITY: Initial investment required is only USD 1,500. My network with education sector stakeholders will be the main support in our initial take off. This idea is easily scalable to other countries. FINANCING SOURCE: I have invested USD 1,500 from my savings and family help. Internal generations will fund all revenue expenditure. FUTURE PLANS: Reach out to all provinces of Afghanistan and neighboring countries. Born in October 1999, I was raised in a political family in Kabul, Afghanistan. Both my grandfather and father were prominent leaders of my country and sacrificed their lives on the altar of terrorism. My mother is in active politics. Having seen public service in my home from as long as I can remember, I am intensely motivated to serve the people of Afghanistan. Through my cross provincial travels, many of them along with my mother, I have seen poverty and struggles at the grassroots from very close quarters. I have also seen challenges that women in Afghanistan face. For example, even today, more than 45 % of women do not attend school, besides facing a host of economic, social, cultural barriers that are posed to them for their existence. I am therefore driven towards public service. I graduated from high school (12 years of school) with the highest academic honors possible. I will now begin University studies. During my school years I attended numerous workshops in Afghanistan and abroad in the field of education-leadership. Since I am academically inclined, love to study and in turn teach younger students, I thought about this idea of EDU-CELL to help students through quality provision of school education. Seeking out collaborations is a unique strength area of my personality. I am able to collaborate with all strata of society across different cultures, countries and languages. I believe that humans have more commonalities than differences. This collaborative spirit will ensure that the project EDU-CELL spreads quickly and in a robust manner. I also have networks across various stake holders in Kabul and other Afghan provinces. This will aid the penetration of EDU-CELL across all provinces, starting from my home province. This idea is really good, I can see you gave it a lot of thought. You will need one damn good IT specialist to make this app great, because if the market doesn't accept it, your idea is not good enough. I like the story, I think you are onto something, so keep up the good work. First of all congratulations for your huge achievement! And secondly I feel really happy to see my Afghan citizen here. I just heard about this now in facebook so therefore had a look on this competition. You have already experienced this, I will be happy if you help me to participate this year. I am currently studying in bangalore India. If you can get in touch with me through my mail or other social media, so we can colaborate with each other. congratulations on winning this award, i hope your project transcends beyond your country Afghanistan alone and into other developing countries with the same conditions as yours. Really Happy for you and your effort. Congrats for your final achievements! My special rejoice goes to the Grand Prize Winner: EDU-CELL. Keep doing. Keep it Up! I could recall that two of us exchanged ideas on comments and notifications in which I am proud of being in your group. I promise to find a unique problem to solve in my community, by 2018 YCEC Competition. Congratulations on being a winner in the Youth Citizen Entrepreneurship Competition! Your idea will make a tremendous impact in your community, and I truly believe your courage and resolve will see it reach fruitful success! I trust that you are vigorously pursuing, developing and implementing your idea. Surely a continuous drop of water can fill the bowl. Acquisition of education and knowledge is an undisputed right of all irrespective of age, gender, financial status etc. Hence striving to bring this to all is a commendable achievement by you but i hope this concept would be accessible to the lower income earners or rather i think you may also need to train your targeted audience on the effective and efficient utilization of your solution. All the best. Congratulations on your win, Shuhra. I'm looking forward to seeing your dream fly. I'll write a promotional article for it on my blog to get more diverse attention. Let's keep in touch: [email protected] is my email. As we are at the last hours of the competition, I take this opportunity to thank you for your valuable comments, votes and suggestions. Your words are always supportive and it helps me to go forward in this competition. Always continue this friendship and hope you will be there in the finals and Wishing all the sucess. Thanks for all the support. Thank you Shuhra for so great and positive comments and I am really honoured with your humble appreciative gesture and by the way after going through your EDU-CELL, I can only say that those days are not far away when no child will be deprived of education ... Any appreciation and good and positive feedback will be too small for you ....and furthermore, I have been thoroughly impressed by your biography.... So I only want to say that WORLD NEEDS LEADER LIKE YOU AND I TRUST IN YOU AND I KNOW YOU WILL BRING A GREAT POSTIVE CHANGE IN THE WORLD ..GO SHINE OUT IN THE WORLD...DREAM BIG... NEVER GIVE UP . This is a great idea. I would like to know if you have considered the blind kids and those who have hearing issues. How will they benefit from your idea? i will really appreciate your efforts and involvement in this competition and thanks for your motivation comments ,my idea to develop education application is utilize the available fund of every country for right proposal that is education . I advice that the lessons be fun. If possible with cartoon like features. I would like to thank you for your contribution in developing my idea so far, will love to keep in touch to all off us, and am open for partnership to my idea. Thank you for your comments on my project, I find your project good and will be needed in my country too..email me on [email protected] so we further share how to work together. Your idea is a good one and I believe with your passion, your idea will develop into a project. Your idea should be encouraged because it will increase access of quality schooling in Afghanistan. Every there are quality schooling knowledge will also be increased and knowledge is the key to success. Your idea will also provide credible solution to the problem of girls who are unable to attend schools due to economic, social and cultural factors thereby reducing teenage pregnancy. Hello miss. Iran or Afghanistan is not a good place for an international organization. Because as you know Afghanistan is not safe and Iran regime is severely corrupted. Your commitment, passion, and experience are very powerful. Related to the brass tacks of your plan...in my opinion, audio has a MAJOR future in social entrepreneurship and tech alike--lighter on bandwidth than video, reaches illiterate and partially literate folks in ways that writing cannot, passive audio can be consumed while completing other tasks (or, more importantly in many situations, without anyone realizing that you're consuming content at all). You seem to be on the cutting edge of a massively disruptive, game-changing initiative through the provision of accessible education in this platform--women directly benefit from each of these features in unique and powerful ways that seem to be difficult to understand from a male perspective. I am glad you are forging ahead with the concept while centering women's experiences and needs. Let me know if you ever make your way into India; your idea would have legs here in a big way, and Strength India would be delighted to partner with you. We need more women on the front lines of education across the globe; ones who are powerful and smart enough to make sustainable change within systems designed against us from before the starting line was even drawn. This is a great idea. I think not only the Afghanistan students will benefit from your app. but also other countries including my country Malawi in Africa. You asked about more details of my project proposal....yes I can do that through your email. Remember it's not over until it's over. There's still a lot you can achieve. You have done well thus far. Only few people will venture relentlessly into the things in which their instincts proposes because sometimes the goal appears too crazy to achieve, so they just retreat. Actually, someone has said that "The people who are crazy enough to think they can change the world, are the ones who do." You may have seen this before but I want to remind you that it's true, only those who are "crazy enough" eventually get results. You have a great concept and you have provided clear explanation on how you want to have implemented. By the way, how is the status in terms infrascructure e.g. availability and speed of internet in Afghanistan. If i had the chance I would say let all the ideas be in the finals but my advice is, beyond YCEC we should continue to develop our ideas and make the world a better place through what we have. For me Money is synonymous with IMPACT. The more people we impacted with our idea the more money we have and more better the world becomes. God bless us all. Thanks to you all for voting and commenting on my idea as I did voted for yours too. Dear Shuhra, the concept and ideaology you have is very interesting and your objectives are very clear - I have just one or two comments to share with and I think they might be very helpfu. 1 - Economic responsibility. I want to just look through this fast, you hope to equip less previledged girls to access education through the audio App, key point here is people who are socially and economically challenged, how many of these families you are targeting can afford smart phones or phones as a start question. 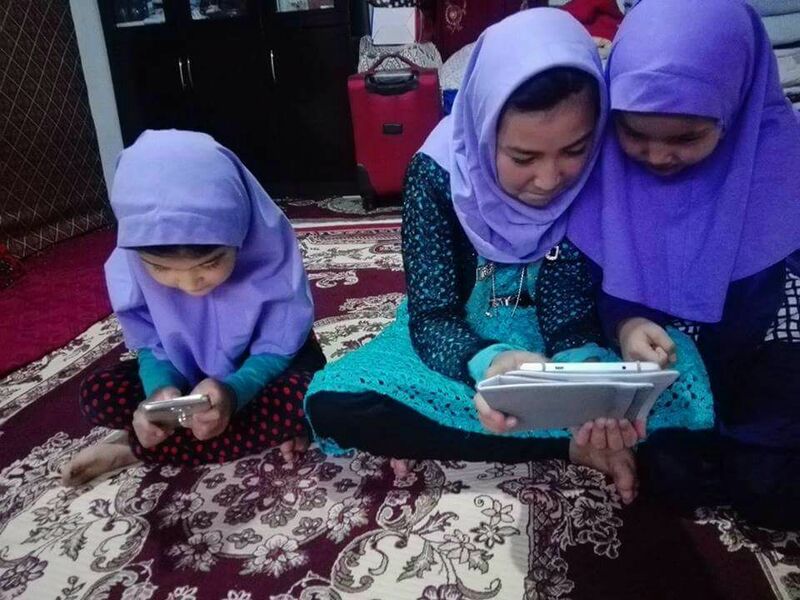 Am not sure about families in Kabul, but from my experience in Uganda, Africa - Many families can not access smart phones hence making the objective or goal focus limiting - Just my though. 2 - Creditation. You do not explain how you intend to manage this. If I study, I would like to get a certifcate to show for it, this document does not only proof that I studied but can also help me in earning some form of employment, this should be the core goal, equip girls so they can be economically independent. I would propose you work with the relevant education Authorities to see how you can manage accreditation of the subjects you will provide. Lastly on learning, I would propose you also add something on enterprenuership, for the girls to achieve economic independence, they need knowledge on how to utilize their various skills and knowledge to make a living. Thank you all your effort, appreciation, suggestion, question and comments on my project. I learnet a lot from your comment and qouestions, Really I woould like to Thank you all. 1) I am ready to confirm your repetitive request to implement CCT-Cities Controlling and Reporting Tool to your country Afgahanistan. 2) Shutra I have read your all you idea even repetedly, I really liked and I wanna to work on it. I appreciate if we communicate how to collabrate on work together, for the success of our idea. If so contact me be below personal contact. CCT-- Cities Controlling and reporting Tool Project Manager! I have read and quoted you as follow "for almost six months, schools in Afghanistan remain closed due to snow and weather constraints. EDU-CELL will ensure that education access is offered throughout the year, besides making education available in the comfort of a students home". My advice is that you are planning to form an Institute in your country, you therefore need mass recruitment that beyond THREE TEACHERS BESIDE YOU", for effective service delivery. Finally, I quote from scholars who said entrepreneur organizes various resources and identify opportunities, etc. Best of luck to you and me in our future endeavor. With all due respect: Copying and Pasting comments do not add value to our projects. A couple of minutes to reflect on each individual project wont get you additional "score" in the factor but it could change someones life. I have read your idea and its quite impressive. i could revolutionize girls education indeed. My worry is will most of these girls have access to the android device and afford data for them to access the files? In my country there is a similar project by they use radio instead and incorporate advertising to sustain it. I hope you're about to the next phase of your proposal for sure.This was our first phase where we are modeling our idea, It will reach a point when we will be quite, Doing our talk and that will be the changing phase of the World, It seems you're a person of action, keep that gift for the betterment of the World. Congratulations for being a person of action. The Model of EDUPAY is applicable everywhere especially in rural poor communities. I think that EDU-CELL can work with EDUPAY concurrently. What is affordability then, EDUPAY redefines. Indeed,this is a great project and I wish you all the best.Education is actually the way forward liberate people poverty.When people are educated,they are economically free since education has so many different forms of helping groom them for the betterment of their respective families and the society. I really appreciate your motivation and efforts too, Thank you for you appreciation and a constructive suggestion. I hope CCT will be successful together with my team and you too and others who love to share and contributes their share for the success of this project to create better future. To tell the truth I am very happy to see CCT on ground every where in the world. You are the first who showed deep willingness to be part of my project see it on the ground including your country Afgahanistan. I am really happy and I want to kindly invite you to join me as well as to implement CCT to different countries including country Afghanistan too. Can I Join your EDU-CELL project development, if you wanna see it on ground? or simple at idea level? Really I am glad that you are doing such great works and for you Entrepreneurial spirit. I fully support your efforts. I sincerely Congratulate you with your revolutionary idea towards improving girls education. Through EDU-CELL app the community will benefit, and I would advise you to keep the app active with relevant contents to help our young girls. I well come you to Tanzania, we can share these transformative ideas. Please, kindly help my idea reach your network and friends "The Voice of Food Revolution " . I am pleased to have gone through your work and happy for its positive impact it will be playing for children's education in Afghanistan as well as the world. I must commend that you idea is ground breaking and with an extraordinary impact. My thought on this is will be on your sustainability and scalability plan. Try to elaborate on this two more but be rest assured that your idea is great and the impact will be large. As for my Idea, MetroCredit project we seek to impact a lot of farmers in Africa. We see the day to day suffering of most peasant homes who have the man power to work the soil but don't have the money to cultivate or even buy tools or seeds to sow. We are working to bridge that gap and even go to the length to teacher farmers on how to use ICTs to impact their activities locally, nationally and internationally. I am most humble by your encouragement, but i must say i have everything concerning that my proposal in a business plan, i suppose that will clarify all questions you may have, do you wish that i send it to you? This is a very impressive idea and it will surely be beneficial for all the young minds looking for an opportunity. Congratulations for all your efforts and for your project. I am glad that you are doing such great works. I fully support your efforts.Hopefully you can maintain and continue your project to be sustainable project around the world. 1) You limitted to android based device. Is that based on analysis or why? what about those whith IOS? 2) Did you think over the usablity? or You are saying they cannot pay for school, But how they can get applicable device? Please look at https://www.entrepreneurship-campus.org/ideas/14/6604 on the project I am launching. I will be happy to learn from your feedback in comments and voting. The idea is very important and tends to solve real life problems. It gives opportunity for those who cannot reach schools to recieve education at home. I also believe that should the project happen, it will raise the level of education of a target group and also enhance motivation and love to study. I love your idea as we at rahnumai working on a product doing same thing. eventually its a good approach to provide educational material in their native languages . which will create more impact and they can understand easily. You have come a long way with this competition and I want to congratulate you for the resilience you have show so far. I tell you what? It's not going to go unrewarded. You are truly one of the most inspirational and noble youth I know! It is really unfortunate that terrorism has been so prevalent in your country. It must be really difficult for a political family to survive in such political climate, but I wish you the most successful journey with a long and prosperous life. Meanwhile, I hope your project will be really successful. With good signal availability, communities around the country can safely take lessons from their cell phones and improve their knowledge with the education you provide. Once the education level of the people improves, they should look to advance the country in stability and forward progress. Best of luck to you, Shuhra! I like your courageous mentality and sticking to what you believe you can do to the extend of finding to establish the same in other countries, I think you're good at concepts from online courses in this platform.Never lose hope , never give up, never find a comfort zone keep moving just like you always do. Let the World benefit from your innovative kind of thinking. The sight of your idea title EDU-CELL alone fascinated me and I loved it as soon as I clicked and read through. I am glad that you are doing such great works and I would like to realize you that, I am ready to collaborate with you for the success of specified ideas or projects. I always appreciate your effort and your entrepreneurship spirit. Wish you all the success. Actually, now i am trying to reach a number of pharmacies for the implimentation. I think that is a hard job, because i have to travel convaince pharmacists about my app some stuff like that.because people here are dont really use technologie or don't think digital quand will be the future for their business or life. Whent you talk about atrocitie here i am little bit afraid ahahah. So, really sustainability of my projet depend of the environement where is established. I have think about many options according to my area where i'm going to operate. that is why, i ask you how the management of your pharmacy in kabul: precisely, how drugstore to communicate to them clients. Can you acces drugs every time in drugstore even in the night? The way you reach drugstore is it the same than oldrery and poor person make it. Do you have any problem to find a drugstore during attack to get drugs? Do you know that drugstore where you are going is open after the attack? Just gust that your are astmatique, diabetique or excuse for this HIV person, can you stayed without you drugs? My app will help you to answer all those question. Just that there are some options which is not yet added to the application. Great initiative Shuhra, keep it up and wish you the best of the best ..
Much needed project for Afghanistan.I want to know that what is your milestone and where you see itself after 5 years as I know you are doing great job but how you will sustain against any atrocities you might face when you scale it up. Hello shurha, Concerning Ypharmacy is an social-health for popuation living in the crisis area. Taking about you who living in kabul, i think it will be very helpful for you. Ypharmacy called '' why pharmacy'' try to change the position of pharmacy in time of crisis like terrorism, floods, armed conflit. Hee shurha please i will like to know a bit the pharmacy's management in your town? If it fulfill conditions i will think to help your community with it, in the better manner by accelerating the creation of my premium just for your situation. Many entrepreuneurs try to make the world better and i belong of them. Since you asked me how i get this idea, simpily during anglophone crisis in Cameroon. I send you a completly comment where i am claire about that. What a great and awesome idea, Really good to see that the youth is taking so much initiative to educate the society and to do good for others. Must say that you have a golden and a pure heart and that the reason that your idea has got so much love in the form of votes. God bless you and have a great and successful life ahead. That\'s very interesting and impactiful project idea, as it aims to support SDGs. Regardless the competition, this idea should prevail to support girls young people get their rights to education. Your country needs minded people like you. It is really social based idea. Keep it up and Congratulations. As you progress in working hard to see to the improvement of the World through your idea, I wish you success and breakthrough. This is a really great idea Shuhra! Especially in a world where children are getting cellphone earlier in life than expected. I do think that children also need to engage with one another so maybe you could include a platform that allows the students to share notes and tips with one another? Maybe a game or two in between each chapter where the players are all participants on EDU-CELL. Education can to be fun too sometimes. You have a very lovely idea and a balanced approach to providing quality and accessible education to the people of your country. I value your idea and believe it will go along long in empowering the next generation of future leaders without the excuse of not having access to education. Best wishes in the competition. Please just kingly let me know something about EDU-CELL. Do you think that it is a business idea? Because i can help you to perform it, before do it you have research around you who can pay for it and how to paid those teachers. If it is for free, it also nice because people around will see the king of heart you have. But seriously it will be not easy, i hope you get some volonteers which physically assist you, adults who advice you adding to you mother for the administration path. Sorry, i try to send you a friendship request but i failled some where. So please for each of us, then it will be easier for me to share my experience with you. you can impliment you idea in Cameroon. the southwest, Northwest, North region of Cameroon there is crisis. I find myself in southwest, we went through the strike because we are big guys of university ahahahahaha.whereas my friends primary and secondary school couldn\'t for theirs security. Living alone like student, unfortunetly i fall sick while the strike was hot. being a challenger and a creative man i take it for grant and find a sofisticated solution to help my country people. Humm shura khoofi your project look like what we are calling here \'\'schooling home \'\' through the phone we receive a SMS from our university( there was not internet). it can be about the assignment submission, secret class day and for that we used CODES. Am reading your idea, You have very innovative and supportive idea towards access to quality education. You said there are time when snow covers hence prevent schooling activities therefore you were able to solve that big challenge, congulatulation for that attitude. I have one sugestion, how about having like TV lesson once per week because if parents can not afford paying school fees how about access to android phones, The idea is good but on expansion you may have single Tv lecture in favour of the final Year students to encourage team work and make it more fun.I hope to hear from you about this concern. i am very thankful to you for your worth comment on my idea ,and i get this idea in my mind after seeing my surrounding was filed with uneducated small children they are begging in road or doing labor work & as you only the education is the way where in we can make our future .this idea is for every countries my vision is to see every country growing . Improving and promoting sustainable, quality and equitableeducation is the MANTRA of your great idea. What are the challenges do you believe you might face with its implementation? EDU-CELL is a mobile app! Bringing technology into education is a mind-blowing idea. This is an excellent idea as it makes provision for education to be easily accessed by students especially girls. Empowering the girls and promoting gender equality. According to OMS, Africa has 70% of adults and 80% of children living with HIV worldwide and has buried three-quarters of the 20 million. In 2025 according to the pneumologist called Professor Aka DanguyM, 400 millions people will die of asthma and in Africa its prevalence varies from 4 to 22%. Central African countries is reputed for armed conflicts and during that period, Africans cannot find pharmacies for their medicines. Ypharmacy is an mobile app that will allow users to geo-locate pharmacies knowing the status of pharmacies (opened, locked and on call). Our projects curb stage of crisis, so please vote for me.and implimentation of our projects can be useful in Africa as in Afganhistan. Hi Shuhra, your idea really look great and it have a great potential to be a life changer for lot of people. Qualitative education is really one of the most important factors in the world and education have always potential to bring more good to the local communities. We, in our project, also find it important and this for have also one of our project tools part dedicated to Standing up for social justice and equity (https://www.globalnikompas.cz/en/self-evaluation/standing-up-for-social-justice-and-equity). We are hoping that this self evaluation tool will be the first input that lead young people to start to care more for world around them and that it will lead perhaps even to the projects like you do. Best luck in your work. Amazing idea and I believe it will have a good impact for your nation. Africa might also need your help so I hope you keep us (Africans) in mind. All the best to you. The nature of education and its quality affects every system in the country,your idea is good as it finds the solution the quality, and access of education to all. Congulatulation for the mindset you want to impact in this tomorrow's generation. is not an attractive venture to invest. For this we have to incentivize education. Suggestion: By collecting the data on no. of mobile phones and no. of females having access to it, we can accurately determine how many lives can be impacted. Secondly, we need to incentivize education , either monetary or non monetary. For Ex: When a girl clears an exam and moves to next level she may get some free books. Congratulation for your idea! I hope this initiative can impact many people beyond what they already are. Success and a beautiful walk ahead. Your idea is very interesting and important indeed. Please keep working harder on the implementation of your idea. your idea is valuable, and I think from culture prospective we have to support such ideas that support the muslim girls to learn and educate and be in a level of high education that enable them to face this life beside their brothers from. and in same time to build the right concepts in their mind to be able to define the wrong and right, and in same time to contribute in the country growth. Hello Sibusiso Mvulane. Thanks for your inspiration and comment . I would like to commend you firstly from rising to the forefront in history regardless of the situation in your part of the world, secondly for believing in education as the key to a better life, I do love this idea and I wish you all the best. Congratulations on your progress so far, I must say I'm impressed. you will greatly affect the education sector and assist a lot of children achieve their dreams. Thanks a lot Talla Brian Monde for your kind words. this is a very good project because the world today is ICT based. Thanks a lot Veronica Theis for your kind words. Shuhra I like your idea so much! It is a great way to get information and this way will there are more people with access to education through a tool as useful as technology .. I wish you too many successes in the contest and in what you propose! I wish you many successes in the contest and in what you propose! these is a great idea and suit to address the challenge you highlighted in Afghanistan. I see the project making an impact in education not only in Afghanistan but across countries that have a similar education challenge. In light of the cause my critical contribution is for you to further look onto how far the project reaches to the intended beneficiaries and the mode of other promotion platform. Critically advocate for the Ministry of education to buy into the idea and cascade nationally. In addition i foresee that the same technology could be used to measure quantitatively on numbers reached also work on the qualitative analysis of the actual effect. Whaouh, you are very courageous. Whaoua, please excuse me just that for your age and what you try to do for you population i think is very amazing. Really your project is very impessive and executable and you need a lot of support. to tag volonteer. Just go to this website below. I am camerounian so, see a girl who is thinking like that really it is snob me. Please dont forget to chech that website you will see many project competition. I am creative entrepreneur so if i get an idea ou ads to your Project, i will tell you. Ok. It was a pleasure. Sorry, give me the time to vote for you. Really ducourage suhrha take care of you. Hee surha please you check the D-prize challenge. Just type it like that on your browser. don't forget about this website, it not only for africans. Your idea is very impressive and yet innovative and much in need in current situation.All the best in the implementation of your project.I hope you get fine funding's and counselors for your project. congrats for the critical thinking how I wish that every youth will focus on feeding the global.As zero hunger is concerned and your Great idea we are going to save many people from hunger .Its my prayer that everyone reading this idea and determine your focus discover and appreciate the potential your have. Highly impressed by your idea and thought of bringing change to the present educational system. With experience, I second you about killing the creativity of children as they are not free to choose what they want to become in future. Looking forward to the success of your idea. I believe you have a wonderful idea! Capitalism can sometimes be inefficient and wasteful when the system is out of balance. You have found balance in the system to be able to prevent waste of needed supplies selling cheap to far away places, and providing value-added component to curb hunger in the local economy at the right timing. It's just a wonderful solution! Good luck, wish you all the success! The new thing about my project is to guide the parents about different fields and careers through the institute.If we consider this issue in Asia than the literacy rate in these are not very much and because of this not everyone's parents are well informed about different careers and because of this they just pressurize there kids to study those fields which just don't inspire the kids and I believe if the parents are guiding through a proper channel then this will definitely have a positive effect on the life of their children's and as per my research there are no such organizations or institutes who are using this policy. Our dream is focusing to reducing hunger primarily from local community level. Many people in rural areas are farmers, but many of them are poor. To be poor, "something must be wrong somewhere" and i think we have to fix that. In fact, there are several reasons, but doing agriculture as a business which focuses on prevailing market opportunities, value addition and optimizing scarce resources therefore will have great impact to boost lives of poor farmers. this project is really good because our parents gets in the way of our plans and passion by choosing professions for us.if children are forced into a career path that s/he doesn't have passion on,the chances of success a very rare.good one i was thinking in this way for a long time now but couldn't come up with the idea to how to deal with this situation and how to help my students as i am a teacher and have to face alot of troubles bacause of the parents of students as they dont let their kids choose what they like and force them to be a doctor/engineer and i totally condemn that so now by reading your project i clear know what can i do to help my students. Thank you so much for putting this issue up here and best regards for your project. I find your entry extremely interesting indeed. For my information, can you please explain your idea in more detail? Thanks in advance for putting the effort in answering my query! Thank you for your simple clarification on cost benefit analysis. It is my view that the idea would make a clear explanation on how it will help to solve the problem of un employment to more people than basing on youth only because this problem seems to have effects to both people regardless their age criteria as how off-seasonal hunger does. The idea proposed by you is very great and all the best for your project. And congratulations for all the efforts, but don't you think there are several organizations providing these services already. So, how your idea is different from them? Thank you for you useful comment, The idea is self educating due to improvement in living standards of people who will directly involve in this project.. Up on implementation we expect to include Partners like extension specialist and financial institutions to increase production. Looking forward for more comments from you. Your idea is real Supportive towwards quality education. I have been reading this idea and I realize that up on implementation, it will produce potential Young people with bright future, Education is the best wealth you can Offer worldwide. this going to be like some distant learning school? Or what do the students apart from just passing the "audio test" tend to get in real life (promotion to the next grade or a scholarship?) Talking about those unable to finance their studies in a real school! Well you could use that as an innovative approach and incorporate it in your idea in the long-run, (to give scholarships to those who satisfactorily pass all the test or something ). Thanks for your encouragement, could not directly reply you, i hope to make the world a better a place in my own little way just like the project you are embarking on. little chunks aggregate to bigger chunks. more power to your elbow. This idea is very interesting and innovative. All your struggle to develop it is, for sure a brick for your strength you need in the future. Don't give up! You have my support! This is really an interesting area of innovation. It's a very great idea! Congratulations for it! In Afghanistan, we really need of persons that thinking like you and then, we have improve education. I'll hope see your project being executed. Great idea you have here, I can tell there was quite a lot of thinking involved. I just want to highlight the fact that you picked education as innovation. To me this is one way of making young people use social media to the benefit of themselves unlike the things we have been seeing. Pushing young people to greater heights and learning how to interact! am in love with this idea! This is very impressive. This innovative way of educating young people is much needed because as you have stated, not all students get results from the traditional ways of learning. I wish I had this in my younger days in education. Because I realised early that I am better able to reproduce what I learn when I learn by both listening and seeing and so live lessons would have been ideal for me not just in the classroom but also in my private studies. I really appreciate the initiative you are taking here.It would really help the local students who could not go to school due to the difficulties in Afganistan. Your idea is indeed innovative and much more needed in current society as you are planning to take the education in those areas where there are so many restrictions due to cultural behavior or due to other factors. All the best for your idea and keep working for its implementation. Education is one of the rights of all children at all levels. Your idea is indeed great in fulfilling this right. appreatiate your idea. Empowering children is what expected from all us as they are the hope of tomorrow , and key for the sustainable development. I do believe that your idea has a great impact on the wellbeing and development of children. Please keep working on its implementation. I am glad that you are doing such great works. I fully support your efforts. It would be grateful if this idea can be implemented. Hopefully you can maintain and continue your project to be sustainable project around the world. You are well informed and positioned to substantially contribute to the education system of your country through this idea. Use of ICT is critical in todays world to make advancement. As a marketing strategy you can lock some feature which would only work be accessed in a premium version (paid or with active subscription). For instance survey monkey (https://www.surveymonkey.com ) or spotify (https://www.spotify.com/ch-de/). Wishing you all the best. It seems like you have a solid implementation plan, I was wondering how you have come up with specific numbers since my idea is still on the planning stage, I would appreciate any leads to taking me to write a solid business plan. this is great noble project helping in teaching the students, as The human resource is the main element in the production wheel , and that is very good for society. can I ask if some one installs the application , is he asked to answer some questions to determine his life style & how will the project be benefit for him & what program fits him ? & how about the feedback ways , by internet or questionnaires ? it is a good idea and it will help a lot of children. A piece of advice is not to restrict the number of the pupils accepted per year, because you will restrict someone's chance to grow in the right way. Your idea is much needed, where the Youths are encouraged and motivated to move forward. This idea focuses on enhancing the potentials of the Youths. God bless you and I wish you Long, success! This is a very impressive idea and it will surely be beneficial for all the young minds looking for an opportunity. Congratulations for all your efforts and for your project. So can you please tell me that what is the exact scenario of the employment sector there. You have an innovative idea. Your idea will go a long way to promote Girl-Child Education, ICT and Equitable Education for the People. Do you intend extending the Good News of this idea to other parts of the World not just Afganistam? Great project! You'll really provide substantial education to your students, allowing them to create a better future for themselves through the middle education they get. Since you're using ICT to conduct your engagement, I'd like to introduce you to an organization I'm a member of. They're called Internet Society and work around the world to mainly provide Internet access and Internet benefits to everyone. Every year they run a Community Grants programme, where members submit their Internet-based projects for evaluation and subsequent funding. They also promote women in the tech industry to open the industry for all girls worldwide, inspite of gender inequality. Take some time to go through their site, I think you will find resources to help your project further. Looking forward to seeing Edu-Cell take off. This is a very good idea, it looks promising and executable. This idea is really going to curb so many things and help build a better and safe environment for people to live in. Keep the good work up. My idea will be implemented in Afghanistan first and if successful then in other places too. Girls do have access to phones. All the very best for your idea and hope you win this competition because you have come across with a very realistic idea. Such a brilliant idea to utilise the students time so that they can study and keep themselves updated during the time even when the schools are closed. Warm regards to you and all the best for your project. Just one question i want to ask you that will you expand this idea on a broader level in future. my name is Gunnar, and I think your idea is really noble. I just have some doubts regarding woman's access to mobile phones in a frequency enough to have such desired impact, but that idea is pretty creative and has the potential. Will Edu-cell only be implimented in Afghanistan or will it be expanded later on? Also, for people without phones, is Edu-cell completely out of reach for them? You have come up with a great idea. I wish all the best to you for this project. I hope you have thought of providing these services to the people keeping every factor in mind. Amazing Idea! I really liked it and your passion towards education and spreading it can be seen from your writing. (Especially that your initial financial source is from your savings! ) Thanks for your effort and coming up with such an idea. I'm actually an advocate for education. In 2014, I did a wordpress blog where I explain and upload my grade 12 notes. Congratulations for your project and for all your efforts for this. You have come up with a great idea. All the best to you. Shuhra what a brilliant idea to make learning available to young people. Even in emergency situations this will greatly overcome the obstacles of no school. I like this idea. Apart from charging end-user fees, have you thought of other revenue streams? Wishing you all the success to see this idea implemented to bring education to the doorsteps of people in your country. You have a wonderful idea here and an awesome forecast for sound education, keep it up. I just have an observation and maybe a suggestion if you may. I understand your position of making do with "audio files for lessons" but have you really considered the impact and effectiveness of "video clips" to "quick and easy learning" considering the grade level the lessons are intended for? And since it's going to be an app and its meant for Android phones. Also, is this going to be like some distant learning school? Or what do the students apart from just passing the "audio test" tend to get in real life (promotion to the next grade or a scholarship?) Talking about those unable to finance their studies in a real school! A nice idea you have here, my question is if your target market are economically underprivileged girls, (1) How are they going be able to buy the Android phones to install the app. (2) If these girls have not been to school before how are they going to be able to understand the lessons of grade 6,7 and 8 and probably read the sms that will be sent to them. I am glad that you are doing such great works. I fully support your efforts.Hopefully you can continue your project to be sustainable project around Afghanistan. Your idea is extremely creative and pushes for an important cause! Some questions I do have is what is the percentage of citizens who have a cellular device in Afghanistan? And how will you connect to girls who don't have access to a cellular device, but are interested in getting an education? For me this is a world-class innovation, as can measure good chances in relation to positive change-making in youth. But is ED-CELL directly linked with your national education council or are you looking forward to do that in future? I'm curious about the accreditation of your courses/lessons. As you know accreditation means acceptance to a further step in education or at least securing a certain job position. The cost is really affordable and well-balanced for everyone's chance to participate. I like your concept, is your app runs in offline mode(without Internet) think about those people who can't afford a smartphone how they will get benifit by your app.So make chain of people that they should go and educate those poor people organize a small workshop & distribute some education/knowledge related prizes,so that more people will attracte & more will join.